It’s with great pleasure that we can announce our triumph in being awarded the “Best Of Customer Service” award by the Houzz Community. We were selected by more than 40 million monthly unique users among 2.1 million other active home building, renovating and design industry professionals, which is a great honour. 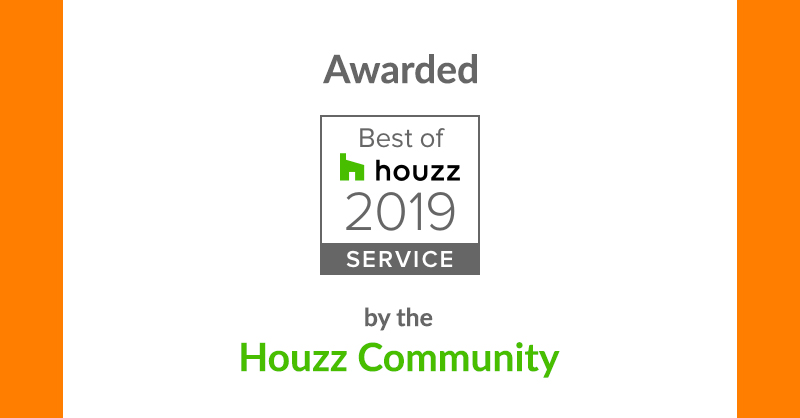 A “Best Of Houzz 2019” badge will appear on our Houzz website. Houzz is the leading platform for home renovation and design, providing people with everything they need to improve their homes from start to finish – online or from a mobile device. If you’re interested in seeing our Houzz profile, than you can do so by heading over to Houzz.